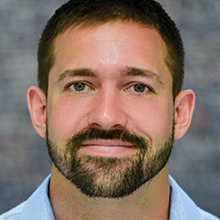 Donald Coolidge is a tech entrepreneur and military veteran and is passionate about the way technology shapes and will continue to shape our everyday life. Consumer tech is an area of specific focus. He is the founder of NYC based digital agency Majestyk and is the CEO/Founder of Elemental Path, creators of CogniToys. Donald is an animal lover and is active in veteran focused non-profits. He servers as the NYC Director of Vets in Tech and was recently named a top veteran entrepreneur in America.